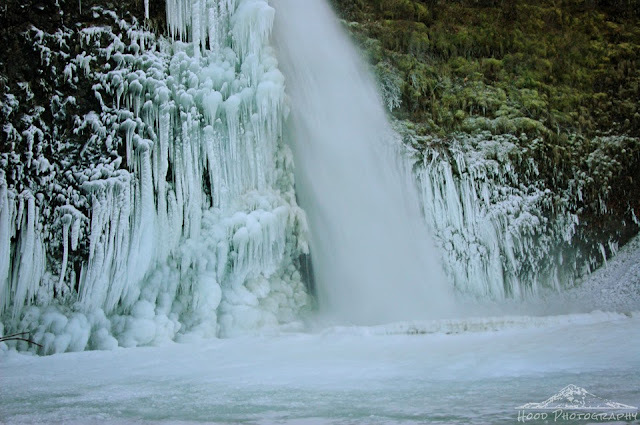 I had to post this one last photo I took of Horsetail Falls, the walls around the base beautifully adorned with glowing blue icicles. The pool itself was also frozen solid, with only the very bottom of the falls breaking through. Oh I used to go there every winter. Matter of fact our one set of friends are off at Christmas Time. Just stunning to see power frozen. Loved how the ice formed on the sides of this falls. I have a couple close-up photos of it I'll be sharing in a future blog post.